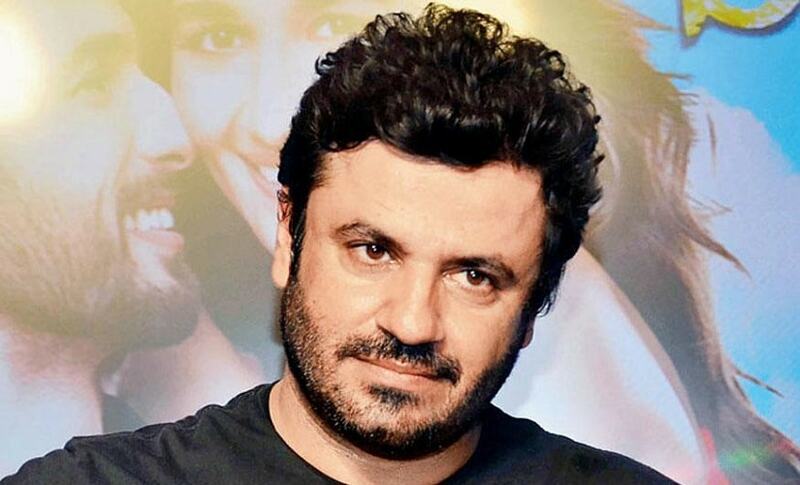 Filmmaker Vikas Bahl has responded to the show cause notice sent by Indian Film & Television Directors' Association (IFTDA) after allegations of sexual harassment resurfaced against the Queen director. Bahl, in a detailed response, wrote why his membership with IFTDA should not be terminated after denying all the charges levelled against him. "These alleged charges are not only false, erroneous, malicious and motivated but have no factual basis," he said. 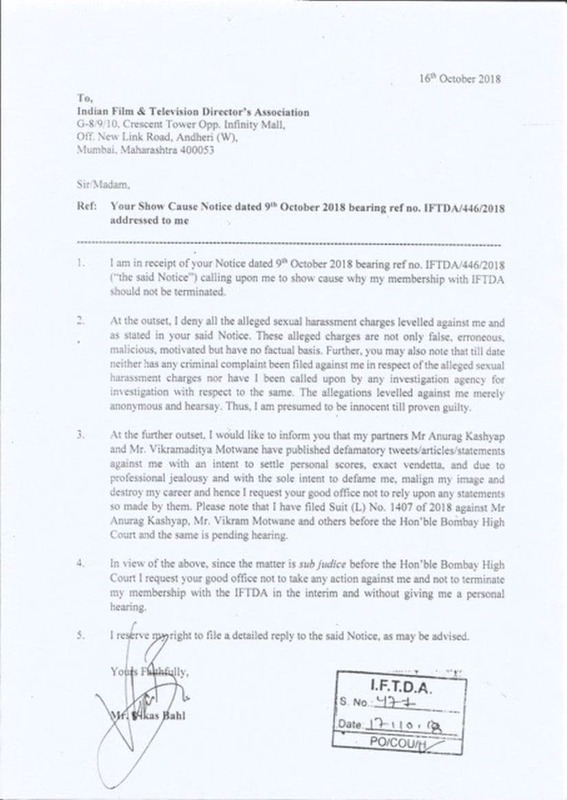 "You may also note that till date neither has any criminal complaint been filed against me in respect of the alleged sexual harassment charges nor have I been called upon by any investigation agency for investigation with respect to the same." He went on to call the allegations "merely anonymous" and "hearsay" and he must be presume to be innocent till proven guilty. Last year, a female employee at Phantom Films, which had Bahl as one of the partners along side Anurag Kashyap, Vikramaditya Motwane and Madhu Mantena, had alleged that Bahl behaved inappropriately with her during a trip to Goa. 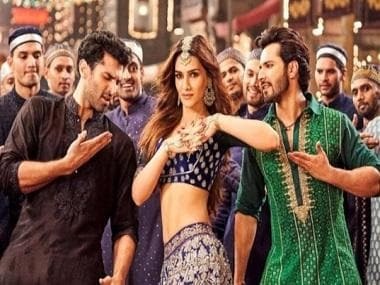 "IFTDA has taken a stern stand against Vikas Bahl by issuing a show cause notice and asked him to respond within one week's time, failing which his membership will be terminated," the statement read. The association said it had immediately set up a women grievances redressal cell. The three member all women committee will be headed by celebrated TV and film director Swapna Waghmare Joshi as chairperson with Bhavna Talwar as convenor and Priyanka Ghatak as co-convenor, supported by the entire executive commitee of IFTDA. However, the accuser released a statement on Sunday saying she would not be filing a complaint against Bahl after which Justice Shahrukh Kathawalla slammed Anurag and Vikramaditya for not being able to present a witness in court. He added that the #MeToo campaign was only for the victims and should not be misused by anyone to manipulate a victim to level allegations of sexual harassment against anybody to settle "their own scores". 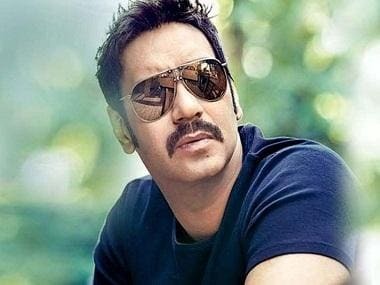 And in the response to IFTDA, he said that Kashyap and Motwane's defamatory tweets and statements were made out of a "vendetta" and "professional jealousy" intended to malign his image and destroy his career. He, therefore, requested IFTDA to not take their statements into consideration. Furthermore, he requested the IFTDA to not terminate his membership until he is given a personal hearing to make his case. Kashyap, Motwane, Bahl and Madhu Mantena made a creative film quartet in Bollywood when they established Phantom Films in 2011. They came up with movies like Lootera, Hasee Toh Phasee, Queen and Udta Punjab, as well as the web series Sacred Games. The company's dissolution was announced earlier this month.